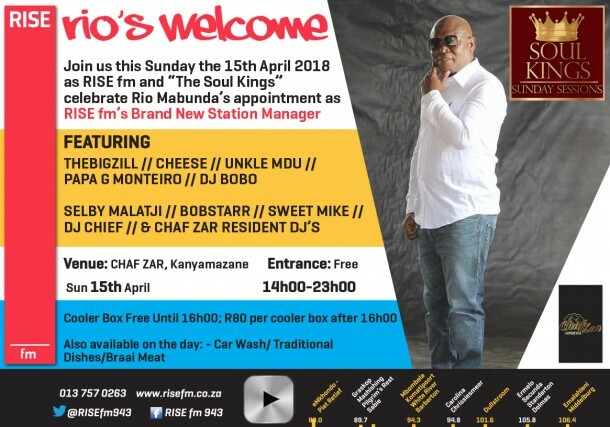 Sunday May 15th , RISE fm is teaming up with the SOUL KINGS to welcome our brand new Station Manager Rio Mabunda after the announcement on Monday 9th April. 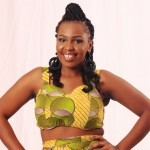 Tiso Blackstar’s Head of Radio, Vernon Matzopoulos, said they were inundated with interest from highly experienced parties throughout the country . It was Rio’s immense local knowledge and understanding of radio in the province, coupled with his vision for the ever-growing station, which made him the number one choice,” Matzopoulos. The celebration will be held at CHAF ZAR Kanyamazane, Sunday April 15th from 14h00 till late. Part of the line-up will be our very own Cheese and Thebigzill. Check out the event poster for more details, we look forward to see you there! 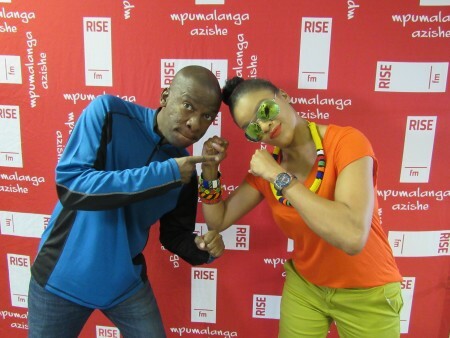 BIG UPS TO MR MABUNDA.